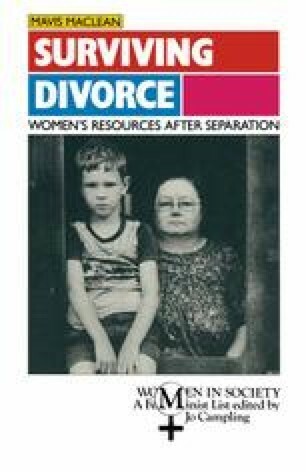 There is no reason why women should be financially dependent on men after divorce, any more than men should expect domestic support from their ex-wives after divorce. Leaving aside child support, women should earn their own living. However, on marriage and child-bearing, women forgo the straightforward career path on which they would accumulate experience, skills and pension entitlements. Insead, after having children, they move in and out of full-time and part-time jobs, typically losing three years’ pay altogether, followed by 4 years’ part-time employment with lack of promotion and pension rights.